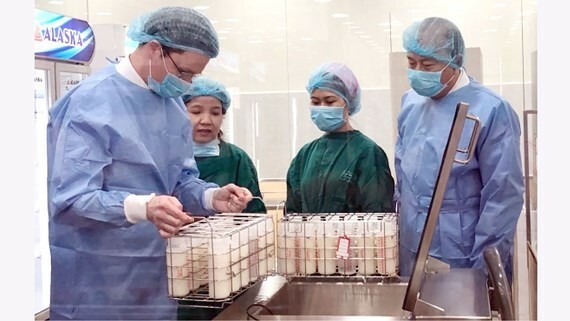 The first human breast milk bank in Tu Du Maternity Hospital in Ho Chi Minh City will be opened on April 10 with the aim of donating breast milk to save thousands of premature newborns whose mothers cannot supply their own breast milk to their babies. The milk bank is a humanitarian bank project where mothers can share their milk safely with the belief to breastfeed babies of other mothers. Carrying his newborn son weighing 1,150 grams in Tu Du Maternity Hospital’s Kangaroo mother care (KMC), or skin-to-skin care, Duong Van Doan hailing from the central province of Binh Thuan said his wife had low breast milk supply, she was still patient to milk it everyday because physicians said breastfeeding is the best food for their baby. However, he loved his wife more because her efforts were unrewarded. 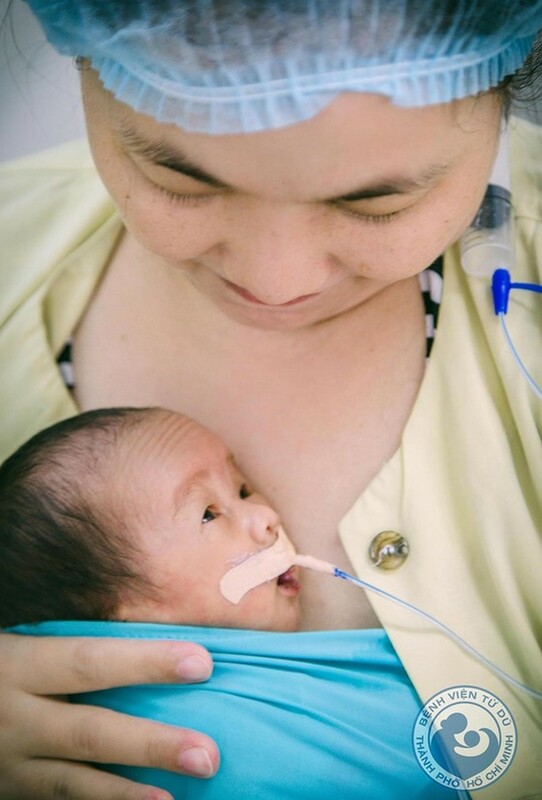 In Tu Du Maternity Hospital’s Kangaroo mother care, not only Mr. Doan’s baby needs breast milk but tens of underweight infants are receiving food intravenously. Head of the Kangaroo care unit Dr. Nguyen Thi Tu Anh said breast milk helps protect your baby from infections, particularly of their gut (premature babies are more prone to these); moreover, the milk contains hormones, nutrients and growth factors that help your baby to grow and develop and it is easier for your baby to digest than formula milk, because it's human milk specially designed by your body for your baby. 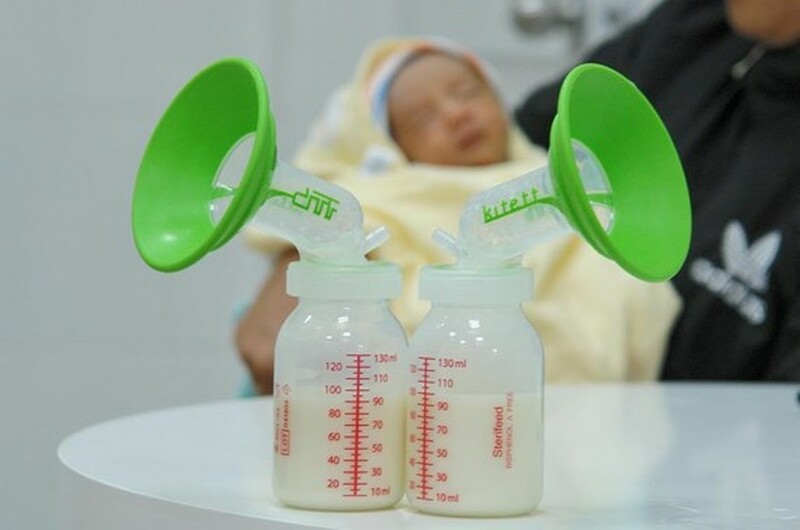 By the hospital’s statistics, around 6,000 – 7,000 premature babies suffering underweight ( weighing approximately under 1.5 kilogram) are admitted in the hospital yearly. 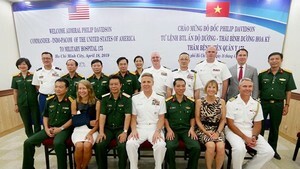 The number of premature children in the hospital and other medical facilities in Ho Chi Minh City are 18,000 annually. 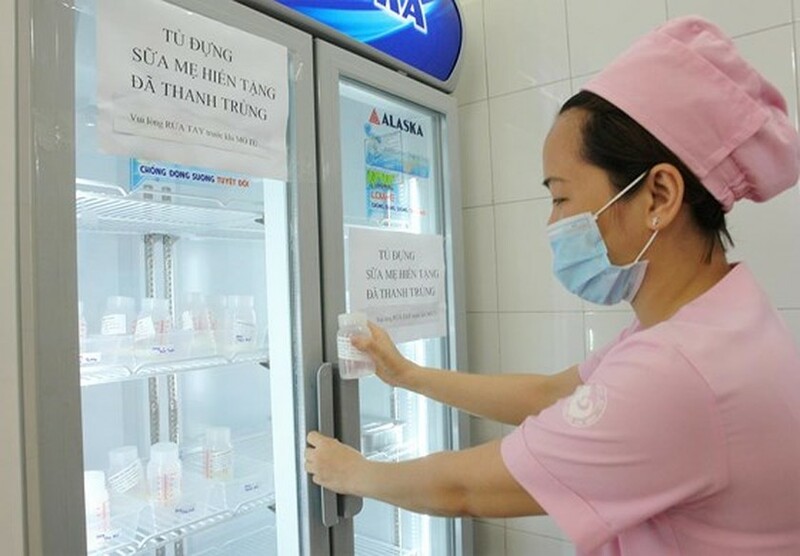 However, more than 70 percent of mother-to-be hailing from provinces, they leave the hospital soon after discharge; therefore, parents of premature infants have resorted to formula milk, said Dr. Anh. Accordingly, the breast milk bank will benefit thousands of premature kids. 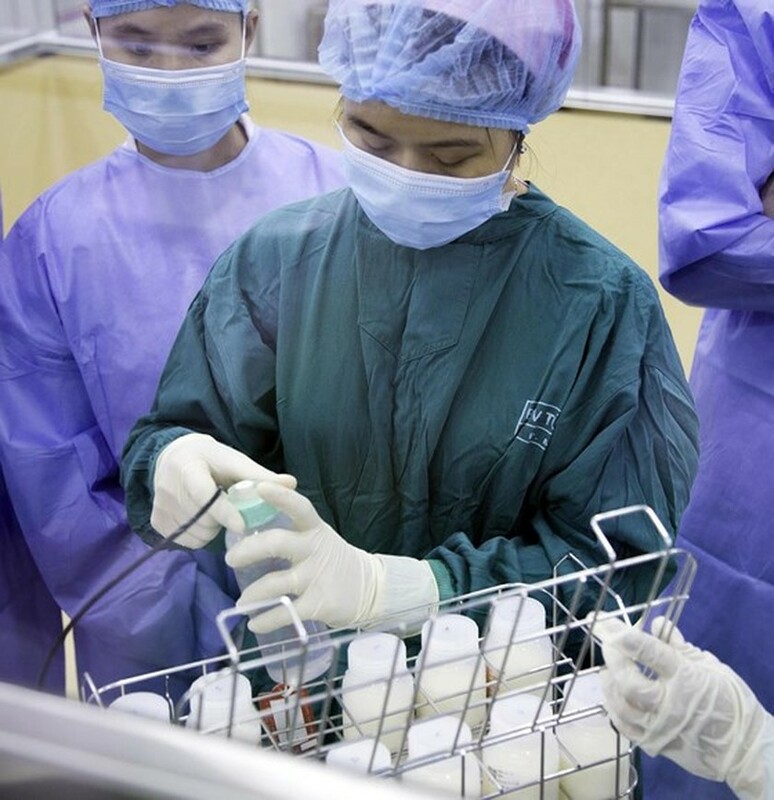 The first sterilized breast milk in the bank was used on March 19. So far, the bank has encouraged six mothers to donate over 30 liters of sterilized breast milk. 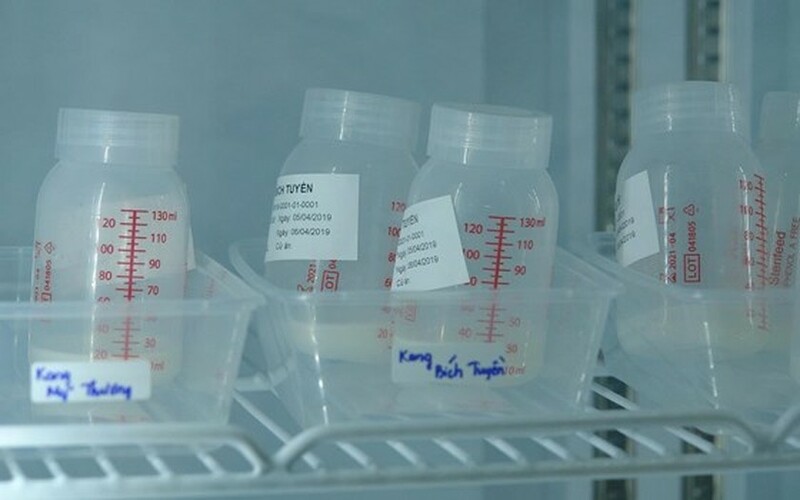 The first donor, 24 year old Pham Thi Tuyen, in the southern province of Dong Nai, said after her son was breastfed, she donated the rest for premature kids to save them. Feeling the good meaning of the bank, she has so far donated nearly 14 liters of milk.